HONOLULU—The Hawaii Center for Advanced Transportation Technologies (HCATT) is generating clean energy awareness through a partnership with Eat the Street Hawaii for the first day of its Oktoberfest celebration, bringing together food, fun and community on Sept. 29 at Kakaako Waterfront Park. HCATT, administered through the Hawaii Technology Development Corporation (HTDC), will highlight clean technologies in transportation and mobile power supply throughout the evening, coinciding around national Energy Action Month. HCATT will supply clean power and lighting for the Eat the Street Hawaii Oktoberfest event by utilizing their fuel cell light carts and generators manufactured by Luxfer GTM. Servco will be showcasing the hydrogen fuel-powered Toyota Mirai onsite for Eat the Street patrons to learn more about fuel cell technology in transportation. The Blue Planet Foundation, the Sustainable Transportation Coalition of Hawaii and the State Energy Office will also have a presence to share exciting news about the clean energy efforts happening across the state. Hawaii is the only state in the nation with a 100 percent renewable energy mandate in the electricity sector. The state is required to meet this mandate by 2045. The Hawaii Clean Energy Initiative is a statewide plan, of which the 100 percent Renewable Portfolio Standard by 2045 is a part. In addition to this mandate for renewable energy sold by the electric utilities, the state has also supports deep decreases in fossil fuel use for transportation. 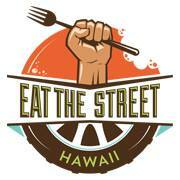 The public is invited to join in the clean energy showcase with Eat the Street Hawaii on Friday, Sept. 29, from 4 – 9 p.m.
HCATT works with the federal government and private industry to develop advanced low emission and zero emission vehicles centered on hydrogen fuel technologies. Their demonstration projects have been expanded to include microgrid technology using 100 percent renewable energy. HCATT is funded by a contract with the federal government and is administered through HTDC.